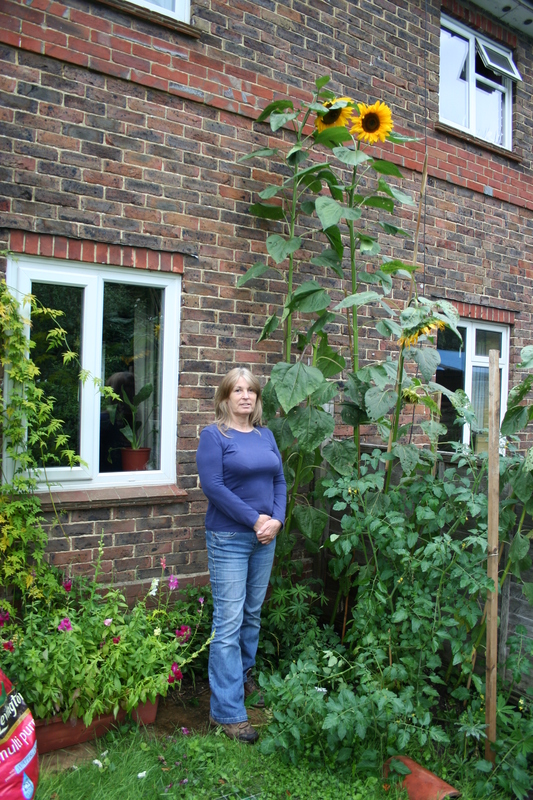 And the winner of our Sunflower Competition is… Sandra Packham from Handcross in West Sussex. Sandra and her husband David are foster carers and encourage the children in their care to grow sunflowers from seed every year. Sandra believes that seeing such wonderful flowers grow from their own small sunflower seeds gives the kids a real sense of achievement and everyone enjoys the sight of those cheerful yellow blooms out in the garden. This year their tallest sunflower measured an incredible 11 feet 6 inches and was a clear winner in our competition. Our runners up were Beth Spencer from Virginia Water in Surrey whose tallest sunflower reached over 9 feet tall, Elliot (6) and Darcia (4) Payne from near Cambridge, and nine year old Colin Gallagher who grew his sunflower from a seed at school. Colin lives in Madison Heights in Michigan USA and I must say we were amazed at the number of entries we received from outside the UK. When I received Colin’s entry from his mother, Stephanie, I had to ask her how she had heard about our competition as we hadn’t expected entries from so far afield. 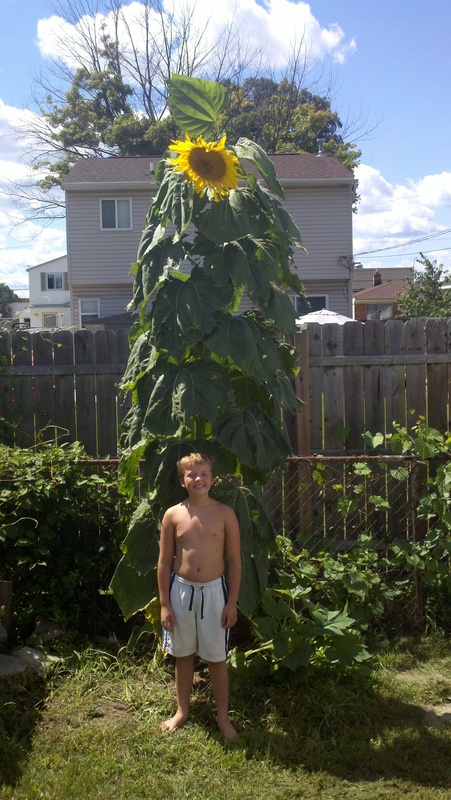 Stephanie told me that the family had originally posted the picture of Colin and his sunflower on Facebook and people commented that they should put it in a contest. So Stephanie googled ‘biggest sunflower contest’ and up came the Arbworx competition on the first page. Oddly enough there didn’t seem to be any competitions in the States so Stephanie figured that they would give us a try and sent in the picture of Colin and his sunflower. Congratulations to all our winners and to everyone who took part in the competition. 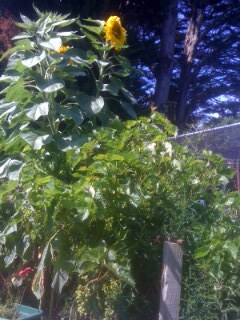 Thank you for your entries and I hope you enjoyed growing your sunflowers. To round off the competition here are a few tips on how to harvest your sunflower seeds once the plants have finished flowering. Wrap the heads of the sunflowers in paper bags and secure with string or twine. Cut the bagged flower head from the plant about 12 inches below the paper bag. Hang the flower head upside down somewhere warm and dry. When the back of the flower head has turned dark brown and gone very dry the seeds will be dry and ready to harvest. To remove the seeds rub your hand across the flower head and the seeds will just pop right off the sunflower. Collect them in a colander and rinse well with cold water. Drain them thoroughly and spread them out on a paper towel to allow them to air dry for a couple of hours. They will be ready to eat from their shells just as they are and are a great addition to any lunchbox.